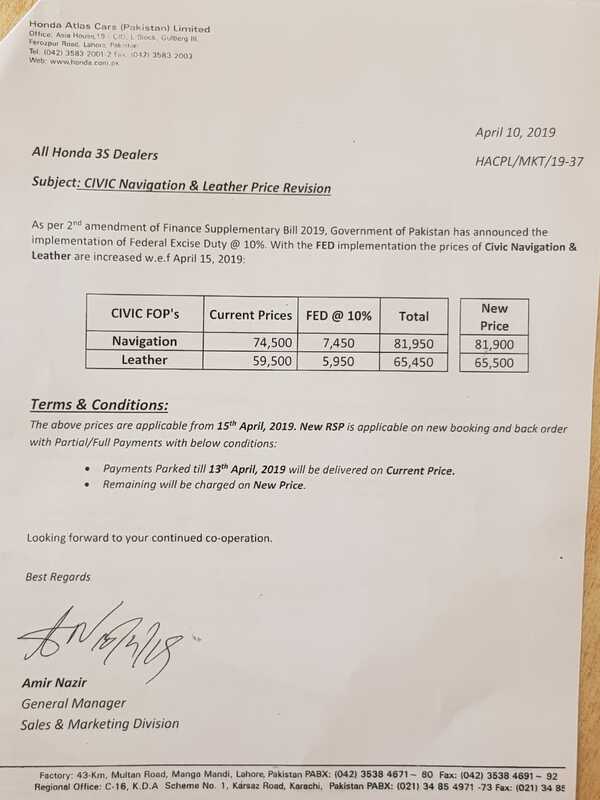 Federal Government has imposed the 10% Federal Excise Duty FED and after the recent increase in car price, the rates of auto accessories and spare parts are also increased. Now Civic Navigation is included in the latest entry list. Honda Atlas with New Civic Navigation / Leather prices. 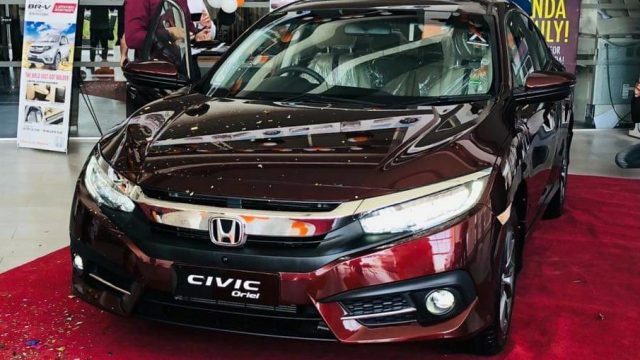 Honda Atlas cars rolled out the notification to share it with their dealers that they will revise the prices of the car, Honda Civic navigation and leather products. After the implementation of FED up to 10% , the government has approved the tax to pursue second amendment in Finance Supplementary Bill 2019 . The current prices of Honda Civic navigation and leather are Rs. 74,500 /-. The new prices will be applicable from 15 April 2019 and if you pay till 13 April , then you will be charged according to old prices of the car. The automakers have increased the rates of the car from November 2018 and the customers will keep in mind that devaluation of rupees is also the major factor apart from the imposition of 10% FED by the government. Honda Atlas and Toyota IMC has increased the prices of the car in March 2018 . Honda Atlas increased the prices of Honda Civic VTi prosmatec 1.8 i-VTEC and Honda Civic VTi Oriel Prosmatec 1.8 i-VTEC by 12% respectively. The government has increased the 10% FED on the local manufactured cars of 1700 cc engine displacement.